Standing desks are well known to contribute to more productivity, better posture, less energy dips and variety of other benefits. 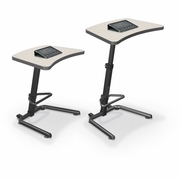 You will also have a space saving design and superior maneuverability in the classroom. 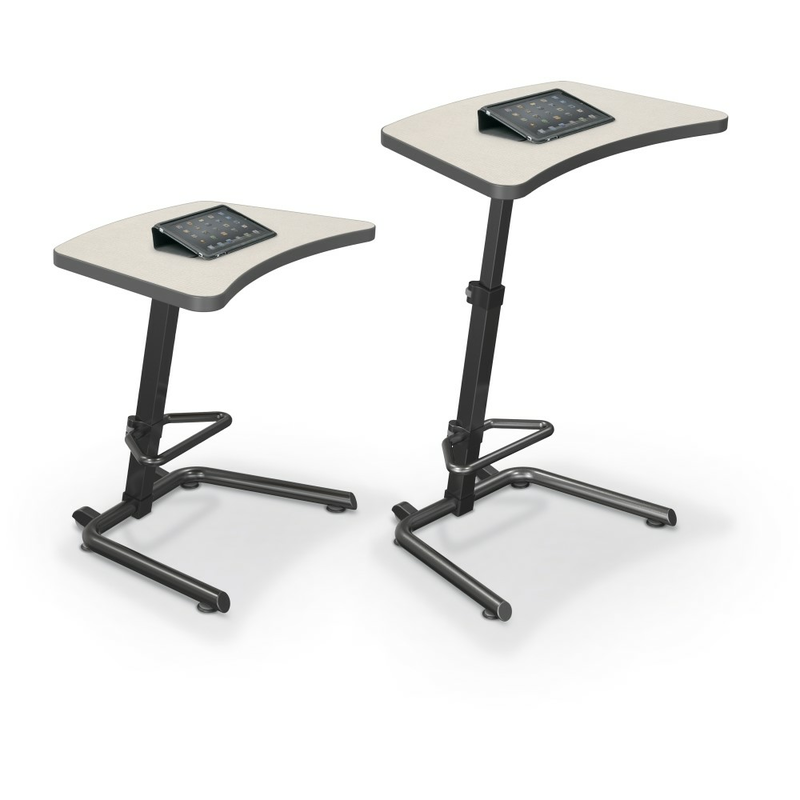 With 26" to 43" of sit to stand adjustability, the Up-Rite Student Desk can work with either a chair or stool for position changes throughout the day. Features a 1.13" thick HPL top measuring 26.6"W x 20"D. Custom color tops are available to match your school colors or your design scheme. Clamp Mount Outlet & USB Charger provides instant desktop power and charging accessibility. Choose this in the options if you want to add this optional feature.